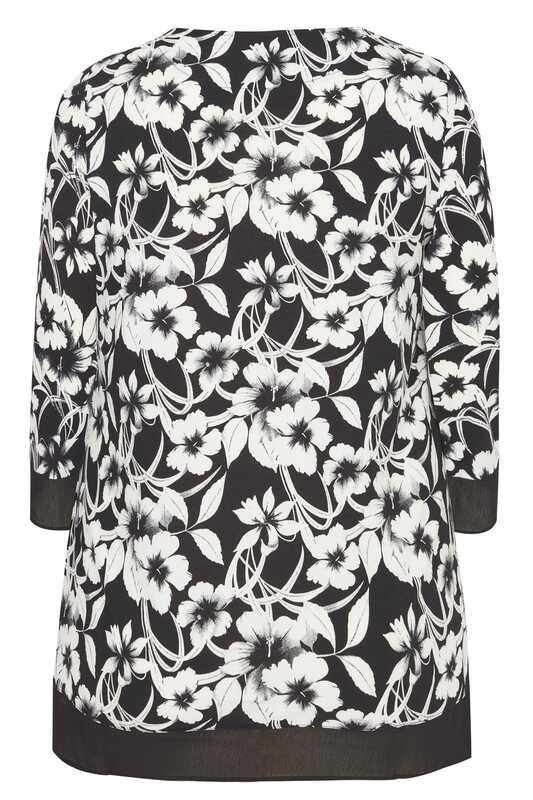 This smart-casual top from Izabel Curve will refresh your week-to-weekend wardrobe. 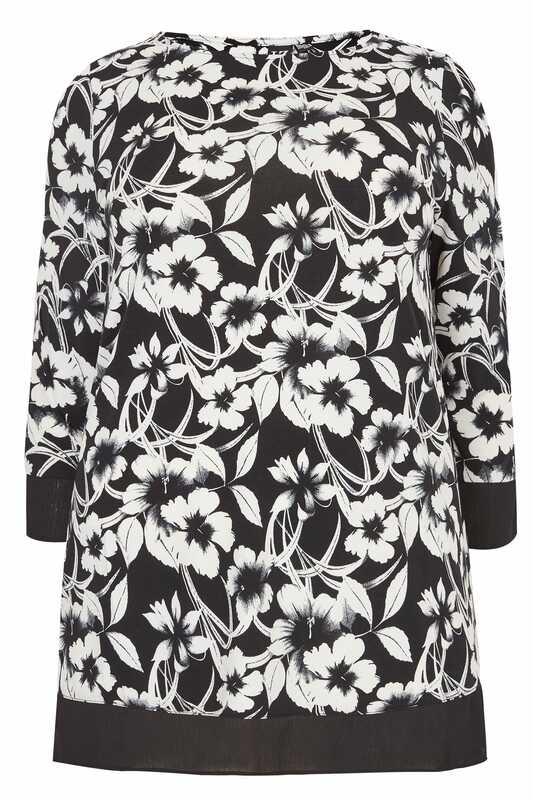 Simple with a scooped neckline and short sleeves, it is elevated with a flourishing floral print and finished with chiffon trims. In a seasonal favourite monochrome colour palette.